This article is my reflection on KINECTWheels: Wheelchair-Accessible Motion-Based Game Interaction, a research paper presented in CHI 2013 Conference by Kathrin M. Gerling, Michael R. Kalyn and Regan L. Mandryk. The paper presents a tool-kit called The KINEXTWheels which aims to integrate wheel chair based gesture into motion based digital video games. The tool-kit written in C# is a library for developers which maps the crucial wheel chair based gestures into recognizable inputs. Finally, the authors discuss various research challenges in creating a more mature development kit to facilitate developers of motion based video games to easily incorporate these control flows in their game design. I think designing video games for wheel chair users is a huge encouragement for accessibility research in motion based video games. It also encourages designers in general to ponder on creating better experiences for wheel chair users using motion based video games. 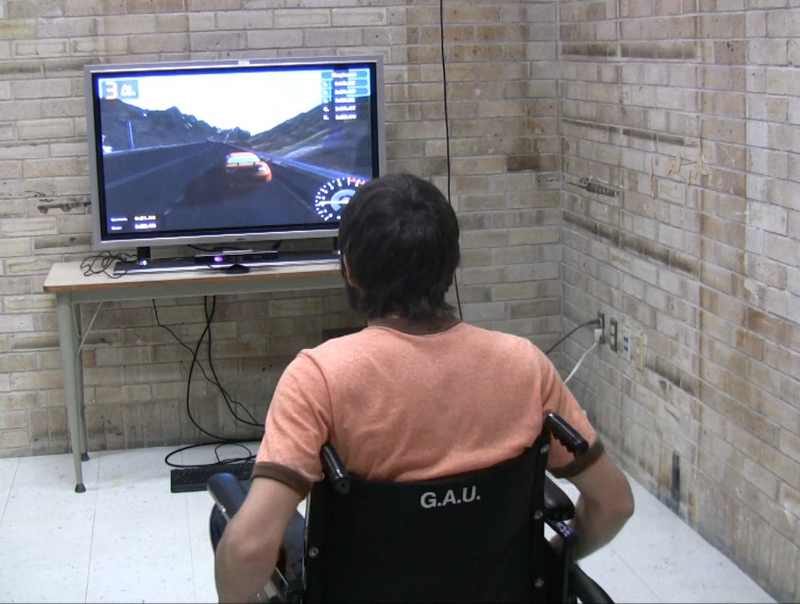 The example of XNA racing game which the paper illustrated explains the dynamics and process of playing the video game using wheel chair gestures as inputs. Making different gestures easily recognizable and implementable is the uniqueness of the library. The gestures mapped are also very relevant to the racing game: move towards camera to speed up, move away from camera to slow down and move sideways to either steer left or right. This builds confidence in the user and also imparts a delightful experience while playing the video game. I think the research has a lot of potential to expand in other domains like health-care and rehabilitation where it can be used as a mental healing treatment by inducing excitement and confidence in the lives of wheel chair users.